The ability to install a quality roof is an important part of building a profitable roofing business, but it’s only one part. 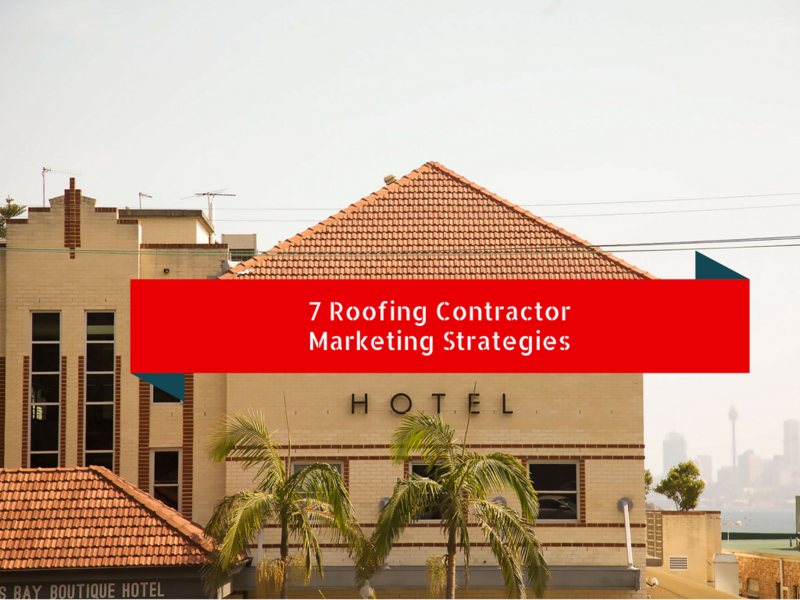 Marketing for roofing contractors is nearly as important as the work itself. Without marketing to promote and feature your work, all that skill and effort will be for nothing. That said, marketing is not a process to be handled carelessly. What follows are 6 common mistakes to avoid when building your marketing strategy. A roof is one of the most costly purchases any homeowner can face, and as such, a lot of thought – not to mention procrastination – goes into the decision to purchase a new roof or repair an existing one. It’s easy to fall into the trap of undercutting your competition to attract cost-conscious customers. The trouble is, low-balling your pricing actually devalues your business. Instead of focusing on how inexpensive you are, focus your marketing on the value for money. While you may not have the lowest price, you offer more value for the money. In other words, cost-effectiveness. 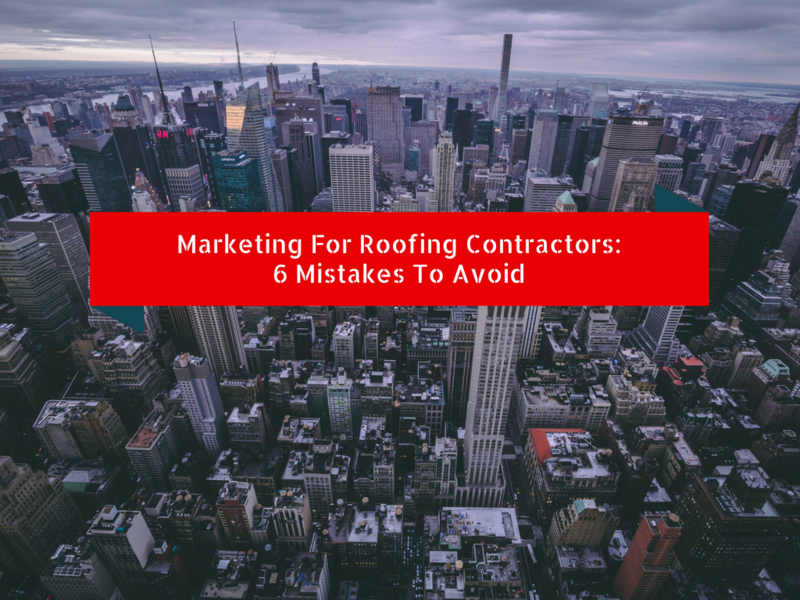 This is probably the biggest – and most common – mistake roofing contractors make in the marketing efforts. They haphazardly “market” without a clear idea of what they’re trying to achieve, or a timeline in which they want to achieve it. They treat it like a one-time thing, rather than a continuous process that never stops. As a result, their marketing brings in few leads and ends up being a waste of time and money. Invest the time in mapping out exactly what you want to achieve with your marketing. Plan out your content, such as blog and social media posts over an extended length of time, and allow some flexibility to make adjustments as necessary along the way. The market gets more and more crowded every day, and the internet has opened up even more choices for consumers who are looking for a product or service. This increased competition makes it all the more essential that you clearly communicate why your roofing business is different. As we’ve discussed, the price won’t do it. Quality of work is not enough either. Finding that unique selling point (USP) is an often overlooked, but essential tool in building your roofing business. Maybe you specialize in energy efficient, “green” building techniques. Perhaps you focus on a specific type of roof repair. Whatever it is, it has to be communicated clearly and consistently to your prospects to help you stand out. The explosion of rating and review sites has made “word of mouth” marketing incredibly powerful. These days, what customers tell each other about you is as important as what you say about you. Too many roofing contractors fail to see the value in these referrals, or they fail to engage in the conversation, especially when there’s an issue. Roofers don’t realize that many prospects will first check these review sites before even contacting them. Being proactive and engaging with customers (whether satisfied or not), goes a long way to improving your reputation. Google My Business is a free tool that puts your business on Google Maps and helps your website rank higher in search results. Not claiming your listing means you’re missing out on a tool many, many prospects use to find local businesses. The fact is, prospective customers often contact businesses off the Google business listing. If you’re not there, you’re losing prospective customers. This related to the lack of a marketing strategy. Many roofing contractors only market when leads are running dry. This “emergency marketing” rarely works effectively, and sometimes doesn’t work at all. Marketing is a continuous process, not something you do only when you need the business. By constantly marketing, you’re able to take advantage of opportunities whenever they come up, not just when you need them. These may be common mistakes in the world of marketing for roofing contractors, but with diligence and a solid marketing strategy, they’re easily avoided. It’s the goal of every business, no matter the industry: How to get the coveted top spot in search engine results. There are many factors that determine how results are listed in a search engine, but one of the most important to understand – particularly for roofers – is local SEO. 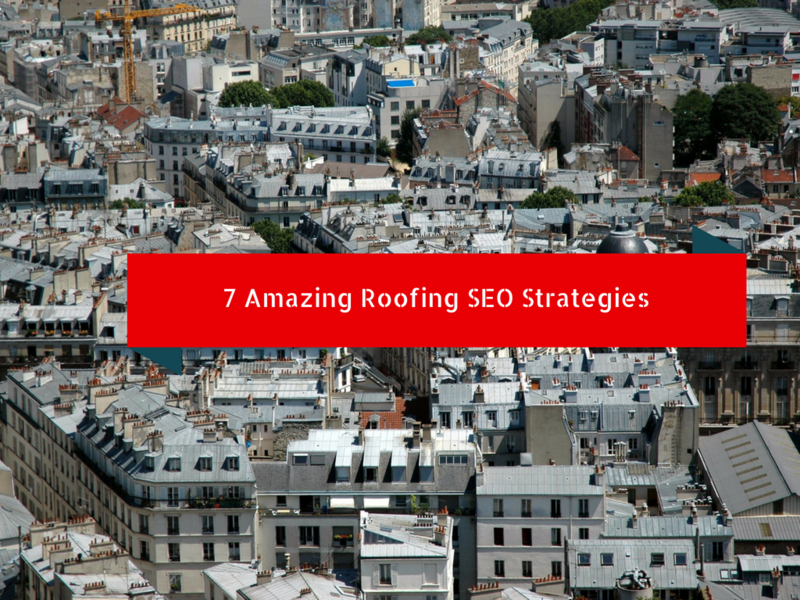 What follows are a few roofing SEO strategies and tips to help boost your company’s ranking in search engines. First, what exactly IS local SEO? Local SEO (search engine optimization) allows businesses to promote their products and services to local customers at the exact time they’re looking for them. Every day millions of customers use search engines to find the local businesses that will provide the best products and services. By ranking highly on these local searches, customers can more easily find you and do business. Be sure to do this for all the services you offer, such as gutter replacement, window installation, etc. Implement your keywords throughout your roofing website and social media. 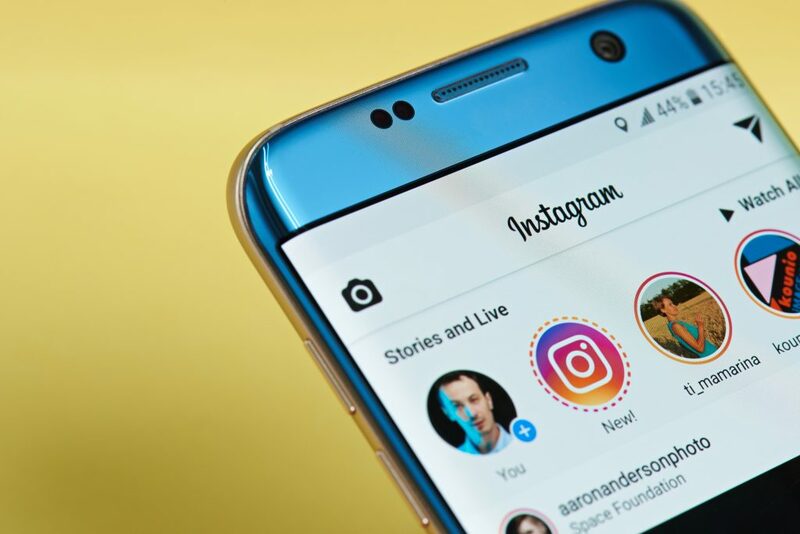 Now that you have a roofing SEO keyword list, you need to incorporate them throughout your website and social media content. By using these keywords often in your content, a customer typing those keywords into a search engine is far more likely to find your business in the results. A caveat: Don’t just stuff keywords into your content at random places. Ensure that they make sense and that the rest of the content supports the keywords. A good and often overlooked practice for boosting SEO is to include your location-specific keywords and phrases into your website’s title and metadata. While not weighted quite as strong as it was in the past, search engines still look to these areas for keywords when ranking. Ensure that you do this for all the pages on your site, including blog posts. Use a consistent name, address, and phone number. Local roofing SEO best practices state that your office address and phone number should be added to the footer of your website. Equally important here is that anywhere your address and phone number are displayed, they should be consistent in format throughout. This helps Google better understand that you’re from a specific location and will help it to present your site to customers searching for businesses in that location. Google My Business is a great way to boost your ranking within Google search. By listing your business information here, customers can find you even more easily, as it makes you visible on other Google services, such as Google Maps. As with your website, make sure your business information (address, phone, etc.) are consistent with those listed on your site. If your roofing business has more than one office location, then you should create separate web pages for each, so that you can adapt the local keywords to reflect that specific location, allowing customers in those areas to more easily find you. When multiple sites link back to your site, it helps increase your ranking in Google search. These are known as “backlinks.” Like metadata keywords, backlinks aren’t valued quite as much as they once were by search engines, but they still represent an effective tool for boosting your ranking. Try using local business listing sites, or guest posting on blogs to help create a network of backlinks and boost your visibility. These are just a few strategies for boosting your roofing business’ local visibility. In the end, the key is to make it as easy as possible for customers to find and do business with you. Local roofing SEO is a powerful tool for doing just that. How does a roofing company stand out in a crowded market? 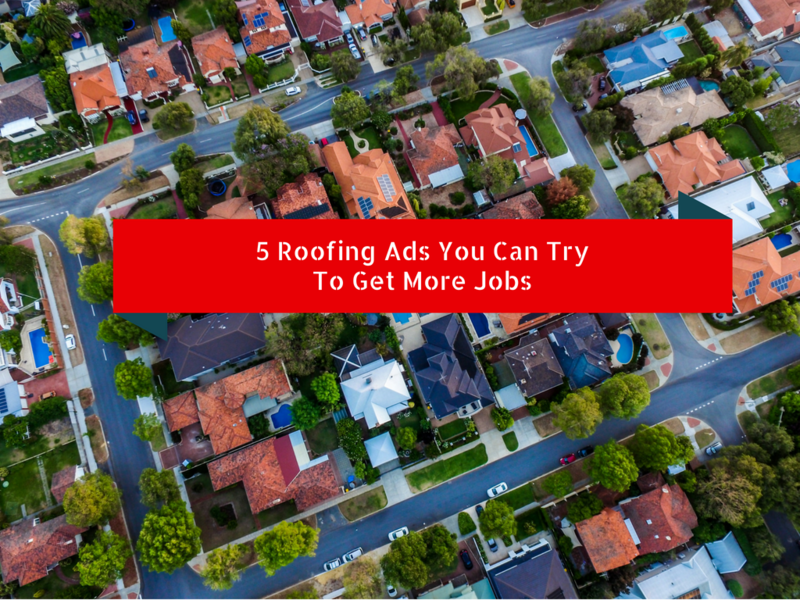 Roofing ads can no longer simply rely on offering the lowest price for a job. Competing on price is a race to the bottom that ultimately no one wins. With so many choices available, consumers are looking more and more for the value provided by companies. 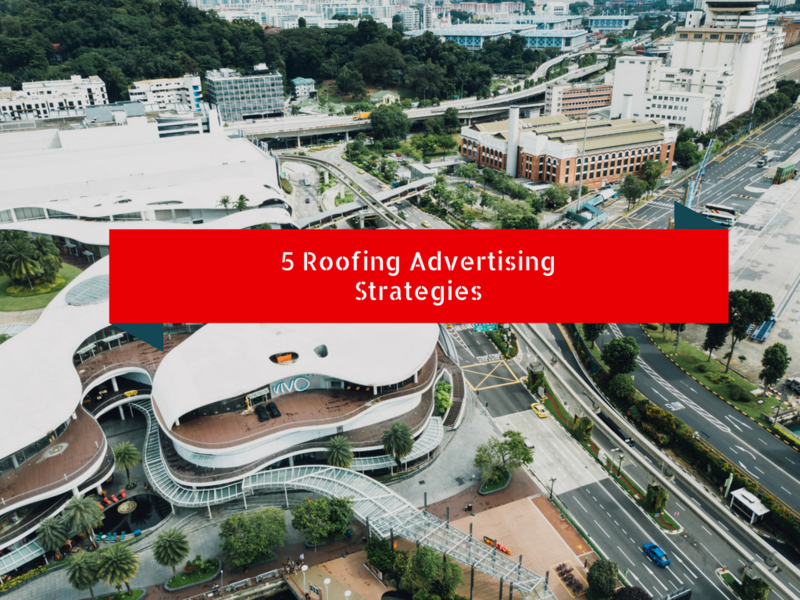 Let’s explore 5 types of roofing ads designed to provide more value while helping you stand out from your competitors. Is your business located in an area that regularly encounters severe weather? Hail, hurricanes, and tornados can cause tremendous damage to roofs, and as a result, provide opportunities for roofing contractors. Promotions could be offered for repair work during hail or hurricane season. Alternatively, you could offer free assessments to determine the viability of a homeowners roof before the season begins. Much like the weather specific ads, these ads are tied to the changing of the seasons, such as from fall to winter, or winter to spring. Changing temperatures and increased snow/rain could cause serious issues such as leaks – issues that could be addressed or even prevented by a roofing contractor brought in at the right time. Obviously, these ads should be timed correctly to coincide with the appropriate season. If your business specializes in using green roofing materials or more energy efficient techniques, this can be a powerful unique selling proposition (USP) for ads. By focusing on the money homeowners could save by using your services, you provide value that makes the cost of a roof replacement much more cost-effective. Green construction techniques are also very popular at the moment, and that popularity can help generate extra attention for your business. While an ad cannot show an entire portfolio of your past work, you could use ads to highlight high-profile projects or even to display the craftsmanship of your work through close up images. If your business prides itself on providing a clean worksite, this imagery can be used in ads as well to give customers a good idea of what they can expect when you work for them. This type of ad has been around for a while. The idea is that through the ad, you offer prospects a piece of valuable information, such as a checklist for preparing your roof for winter, tips on dealing with small leaks, or even a guide to choosing a reputable roofing company. This piece of information is called a lead magnet, and it allows you to build credibility with prospective customers while giving you the opportunity to nurture the lead to eventually become a customer. These ads are simple and are focused entirely on the lead magnet itself. These are just a few of the types of roofing ads that you can use to generate more leads, and ultimately, more business. Don’t be afraid to experiment with the different types, but remember: the key to marketing in the 21st century is to lead with value. The more value you offer your customers, the more likely they will come to you when the time comes to hire a roofing contractor. Marketing for roofing companies is absolutely essential, whether the business works with residential customers, commercial clients or a combination of both. While no amount of marketing will ever replace excellent workmanship, work of the highest quality won’t mean anything if customers don’t know the company exists. Enter marketing, along with its partner, strategy. 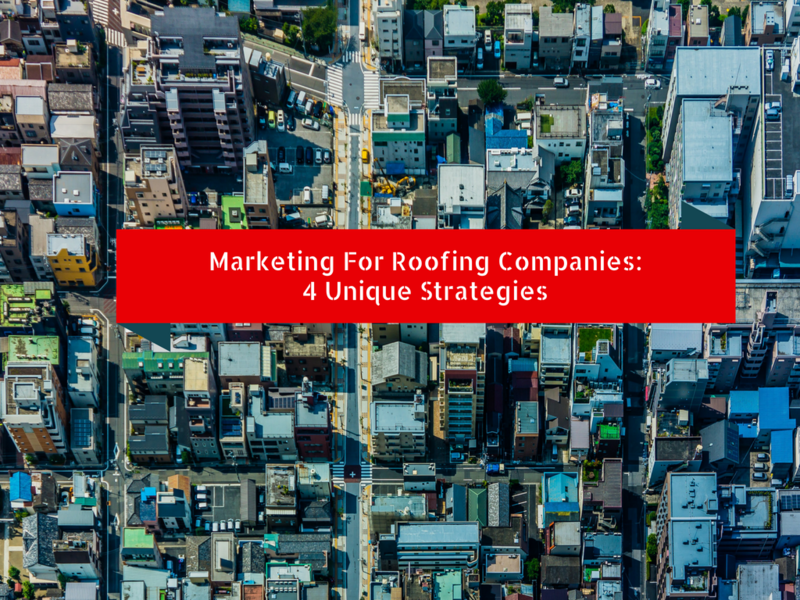 Here are some tips for building a solid and effective marketing strategy for your roofing company. Many are “old school” in nature, but when used in conjunction with more modern online marketing techniques, they can provide the extra personal touch that helps a client choose your business over a competitor. These are the people who wait until their roof is in very poor condition because they’ve put off getting a new roof or getting the existing one repaired. Marketing to the Procrastinator is all about education: The practical benefits of a new roof, such as leakage protection and energy savings. Procrastinators often put off roof repairs due to the perceived cost, therefore your marketing should reflect the cost-effectiveness of your work and the value-for-dollar you offer. This customer is focused mainly on increasing the curb appeal and ultimately the value of their home. Marketing to the Beautifier should speak about the quality of your work and your ability to provide a selection of beautiful roofing materials that will add value and elegance to a home. Your roofing company should have a single logo that you use consistently on all materials seen by customers. This branding should be prominent on any vehicles you use, on all your documentation and on signs along the job site. It seems like a small thing, but it creates an image of professionalism and credibility in the eyes of prospects and can be an effective form of passive advertising. Keep in mind that if you do use branding on the job site, it must be kept as clean as possible to avoid having your business name and brand associated with a messy site. When beginning a new job, ask clients how they found out about you. This information can be invaluable for determining which marketing methods are working well and which are not. For example, if a lot of your clients seem to come from Facebook, it might be worth investing a little more in that area in future. Keep a database of your customers and leads to whom you’ve provided estimates. Touch base with them once or twice a year with value-focused content, such as an information guide or checklist. This helps keep you “top of mind” for those leads who may not have yet made a decision about hiring a roofing company. Contacting your clients a week or two after you finish a job to make sure they’re satisfied is also a great way of reinforcing great service, showing you care about the quality of your work and increase the chances that they will refer you to others. Create and nurture relationships with local realtors, banks, and landscapers. Set up mutually beneficial marketing efforts such as displays, business cards or brochures in your respective offices for the benefit of clients looking for information. Whether you prefer “old school” or modern techniques, marketing for roofing companies is absolutely essential. Neglecting them will make it difficult, if not impossible, to grow your business. Just remember that marketing must be a continuous process, not an event. Making use of the techniques described above will give you happy customers, a continuous stream of business, and an edge over your competitors. For a roofer, a successful business starts by providing a quality service at a fair price. However, that alone won’t guarantee you success. The market is more crowded than ever and prospective customers have far more options thanks to the internet. Roofing advertising strategies can take many forms, from online retargeting to simply following up on completed jobs to check on your customer’s satisfaction. 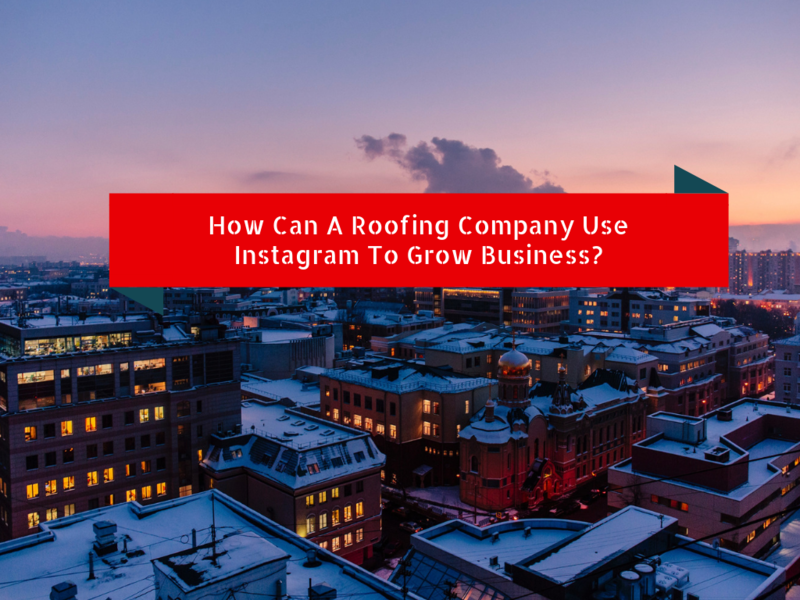 We’re looking at 5 different strategies you can use to help grow your roofing business. Community involvement can create a scenario where everyone wins. The community feels supported, and they, in turn, are more willing to support your business. In the case of a roofing advertising strategy, try selecting a household every 1-2 months that needs a roof, but may not be in a financial position to afford such a renovation. Applications or nominations can be created to decide who the recipient will be, which creates positive exposure. People will want to do business with you because you’re the company who is willing to help that struggling family get back on their feet, and you have the satisfaction of knowing you’ve supported a good cause. Win-win. The purchase of a new roof is a decision that many homeowners put off due to the costs involved. As a result, it can take months or more for a lead to finally become a customer. Retargeting ads keep track of visitors to your website and offer up your ads to them as they explore the internet. 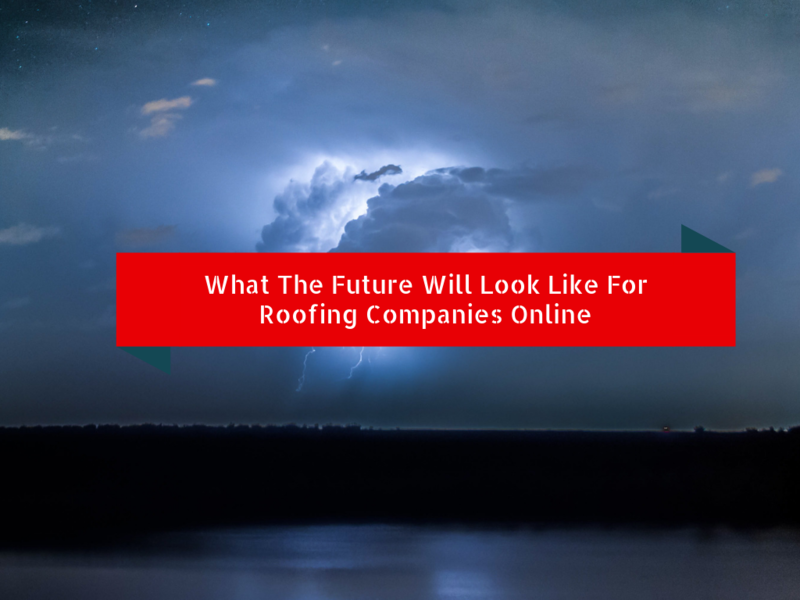 While the lead may not click on the ads, they will see them, keeping your business “top of mind” until the moment when they finally choose a roofer. Retargeting increases the chances that the roofer they choose will be you. A comprehensive portfolio of past projects is a great way to demonstrate the quality of your work to prospective customers. Close up images of the craftsmanship that goes into your projects help build credibility and give customers an idea of what their roof will look like. Also, if one of your value propositions is that you offer a tidy worksite, images of a project throughout its phases would also be great for demonstrating value to customers. All these images can be displayed on a portfolio page on your website, and used (with the client’s permission) as social media content as well. Ranking as high as possible in local search results is essential to drive traffic to your website. There are three primary ways to ensure your business is as close as possible to that coveted top spot on search results: Pay-per-click advertising, Google My Business, and organic web listings. Pay-per-click (PPC) ads are run through auction-based systems like Google Adwords and Bing Ads, allowing you to show in the top positions (reserved for paid ads) where you can control the ad copy and landing page. Google My Business is a Google Maps listing and review platform that you can optimize your descriptions and customer reviews. Organic website listings are created by optimizing your website for keywords, gaining backlinks (links from other sites), maintaining an active social media presence and regularly updating your content (such as a blog). This is a primary tenet of marketing in the 21st century. By providing prospects with value (information, tips, etc. ), you’re laying a foundation of trust and relevance that’s impossible to replicate any other way. Provide tips on fixing a leak, or ensuring that their roof is ready for inclement weather, or even how to choose a roofing contractor. When the time comes to purchase a new roof or repair an existing one, they’re more likely to come to you, mainly because you’ve provided so much value in the past, and because you’ve developed a relationship over time. Standing out in a crowded market involves much more than just a low price. You need to provide real value for the dollar and be willing to nurture relationships over time to turn leads into customers. Online marketing is a powerful tool for roofing businesses looking to generate leads – but only when it’s used properly. Quite often, roofers fail to get the most out of online marketing and end up with results that are hardly worth the time and money invested. 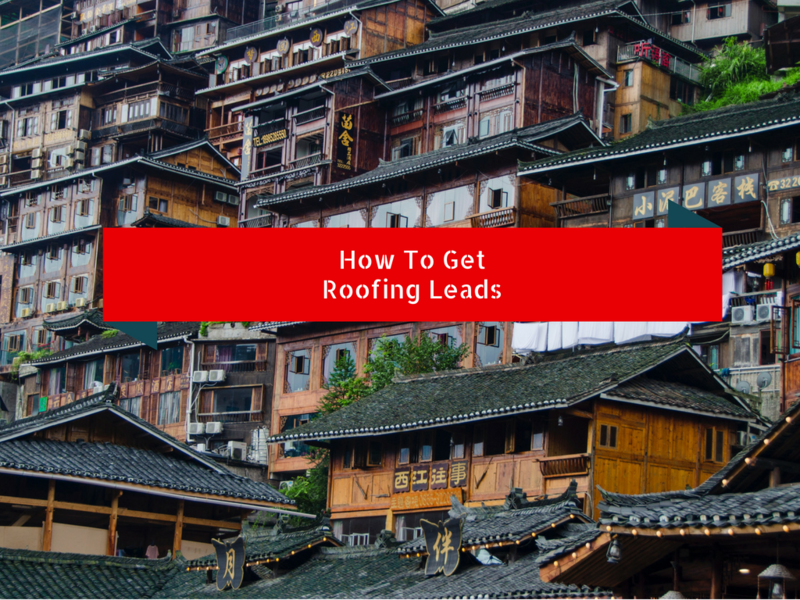 What follows are tips and strategies showing you how to get roofing leads in your business. Your website is one of the most important parts of your lead-generating efforts. Even if prospective customers find out about you offline, they’ll likely visit your site to learn more. Simply put, your website is often the first impression customers will have of you, so it’s important that it reflects well on you and your roofing business. For a roofing business, a website is more than just an information source. It’s also a tool for converting visitors into leads. That means it has to provide value, make contacting you as painless as possible and use powerful calls to action to motivate prospective customers. Ranking as high as possible in local search results is essential to drive traffic to your website, traffic that could potentially become leads. There are three primary ways to ensure your business is as close as possible to that coveted top spot on search results: Pay-per-click advertising, Google My Business, and organic web listings. Google My Business is a Google Maps listing and review platform that you can optimize your descriptions and customer reviews. Organic website listings are created by optimizing your website for keywords, gaining backlinks (links from other sites), maintaining an active social media presence and regularly updating your content (such as a blog). It would be a mistake for any article designed to teach you how to get roofing leads to fail to mention one of the most popular methods for sharing information online: Video. While it’s a powerful marketing tool, few roofing companies take full advantage of it. Whether you decide to invest in a professional production company to make a commercial video, or create lower-budget “how-to” videos to educate prospective customers (how to select a new roof, what to look for in a roofing contractor, etc. 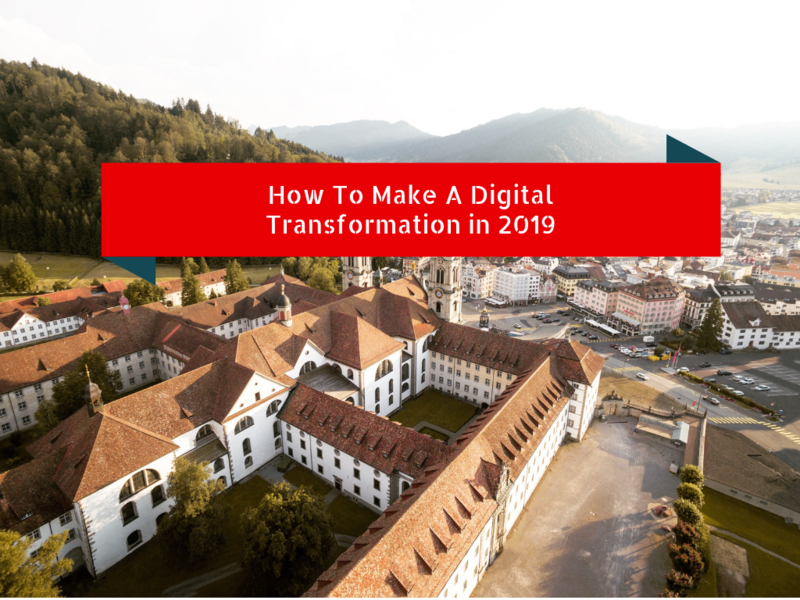 ), this kind of content – when optimized for YouTube search – helps to build credibility and trust, encouraging visitors to become leads and eventually, customers. Purchasing a new roof or repairing an older one is a decision that many people will take their time making. Unless the roof is badly damaged, some leads can take months to make a final decision on a roofer. Retargeting keeps track of visitors to your site and offers up your ads to them as they explore the internet. While the lead may not click on the ads, they will see them, keeping your business “top of mind” until the moment when they finally choose a roofer. Retargeting increases the chances that the roofer they choose will be you. It’s an easy trap to fall into – to assume that as a roofer, you’re just like every other roofer. This kind of thinking makes winning customers a matter of luck. Roofers who dominate in their marketing do so primarily by developing a unique selling proposition (USP). At some point, most of us have asked friends or family who has worked with a local company what their experience was like. With the explosion of the internet and the creation of online review sites, this common act takes on a whole new level of importance. What other customers have to say about your business is now as important as what you have to say yourself. More and more roofing companies are realizing how important online review sites are to local lead generation. Many prospective leads will now check reviews made on HomeAdvisor, Facebook, and Google, and base their decision largely on the experiences of other customers. Closely monitoring what’s being said online about your business and responding to negative reviews with suggestions for rectifying problems can go a long way to ensuring an error now doesn’t cost you later. Marketing has always been, and will likely be a long-term enterprise. The companies who succeed in marketing understand that not only do campaigns need to be given time to work, they must be flexible as well. Not every effort will work. When some part of your marketing fails or doesn’t provide the desired results, see it as a learning opportunity and try to determine why it failed – and be willing to put something new in its place. This process of flexibility and persistence will help you generate leads – and business – over the long term, long after your competitors have thrown in the towel.